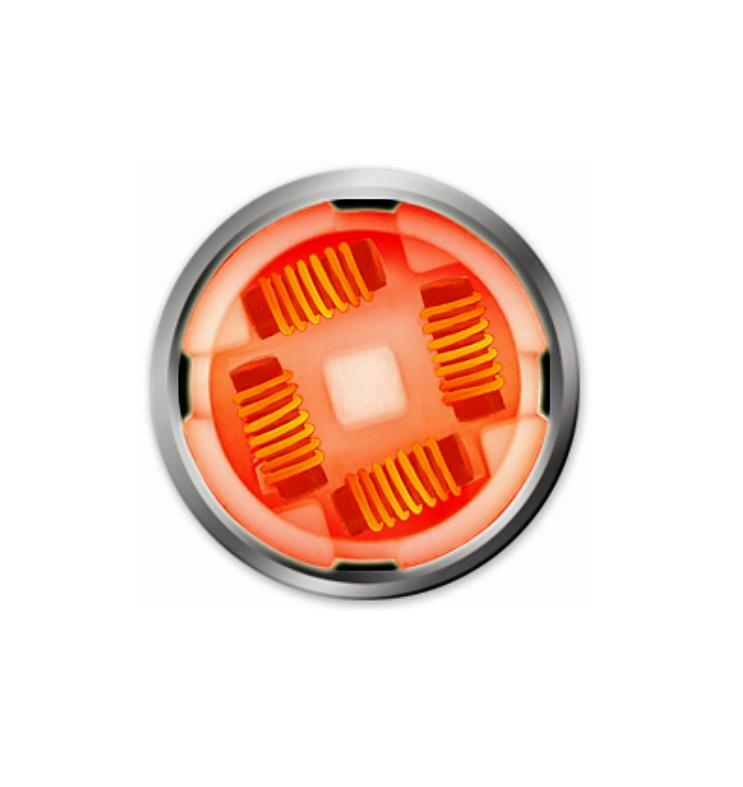 Evolve Plus XL Quad Quartz Elements are the original heating elements that come with the Evolve Plus XL device from Yocan. 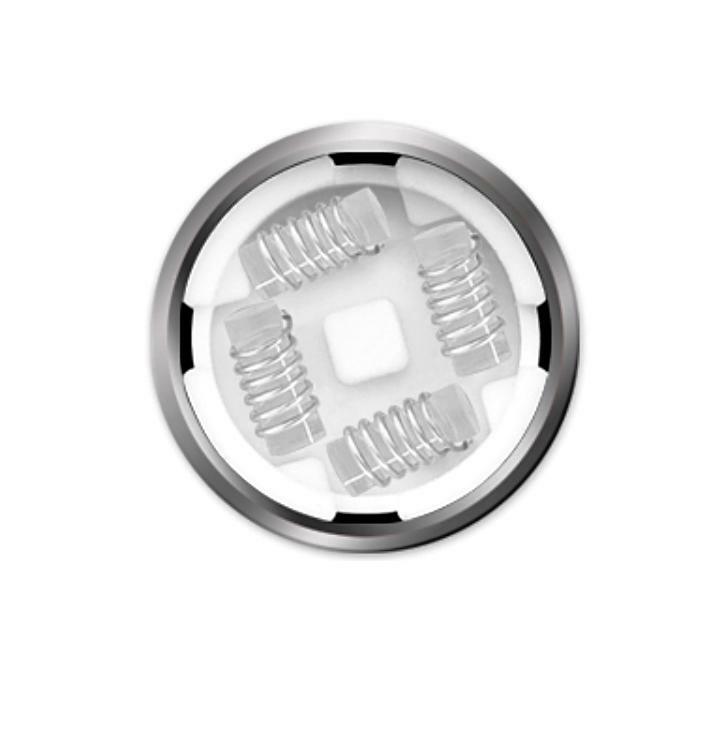 These replacement heating elements feature a similar design to the original Evolve Plus but with double the quartz rods and a larger ceramic dish for increased efficiency. Place your material on the glass quartz rods and with the touch of a button it will thoroughly heat and melt it, allowing any left over material to accumulate in the ceramic dish. The ceramic will continue heating your material and ensure every last bit goes to use. 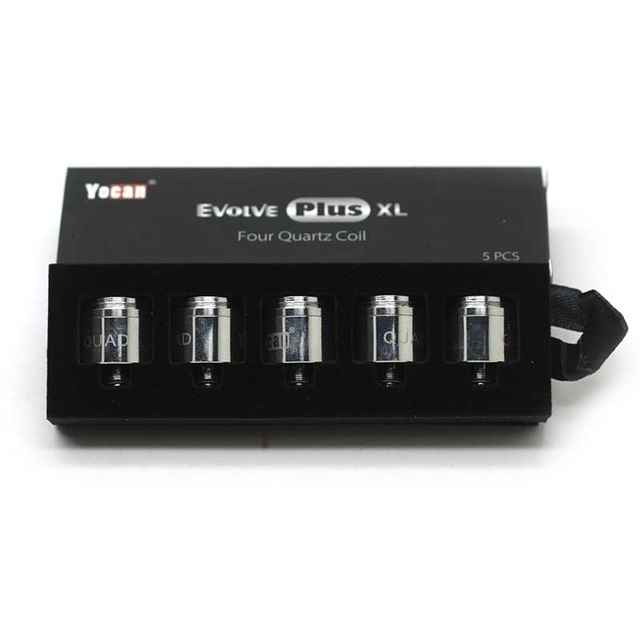 Each of these elements can be paired with the innovative capping system provided with your Evolve Plus XL device. Use this cap to close off the top of the element and ensure that all of your material remains trapped inside, leaving nothing to waste. 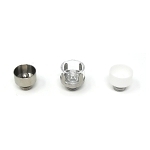 Invest in a 5 pack of these authentic Yocan brand quad quartz heads and keep your Evolve Plus XL device pumping out fresh and tasty clouds just like it did the day you bought it. 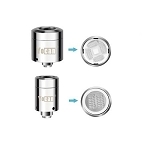 Although these coils can become quite hot, I prefer the quad coil over the dual coil. 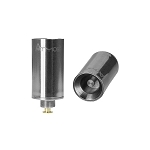 These last longer because less resin oil accumulates below the coils.